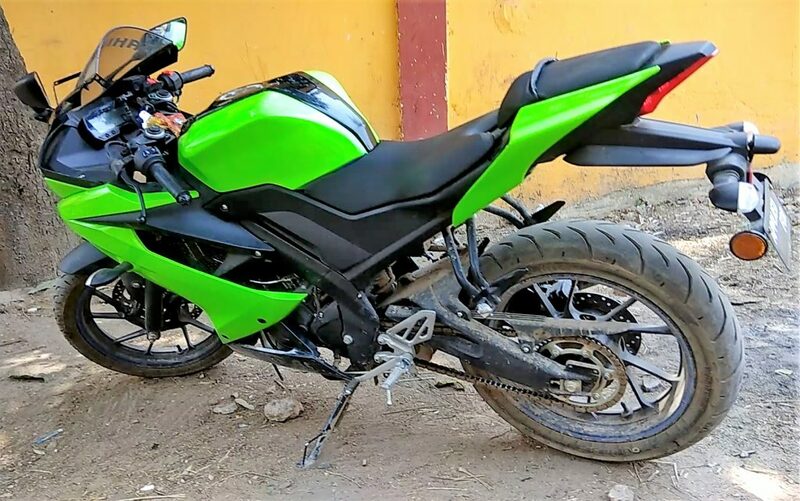 Yamaha R15 Version 3 Ninja Green Wrap: Love Yamaha but cannot live without Kawasaki? Misty Stickers have a permanent solution to this problem. 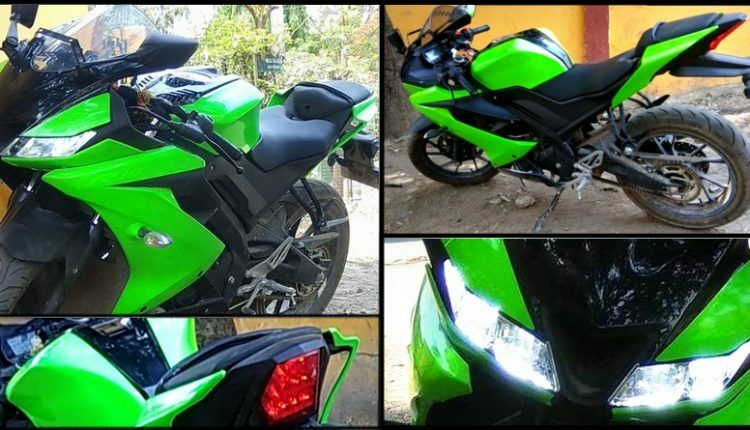 Buying the new Yamaha R15 Version 3.0 and getting the same wrapped in Ninja Green can save your interest in both aspects and more than that, this Green machine looks super cool from every possible angle. They have carefully left the center section gloss black as it matches perfectly with the seat and front center fascia. 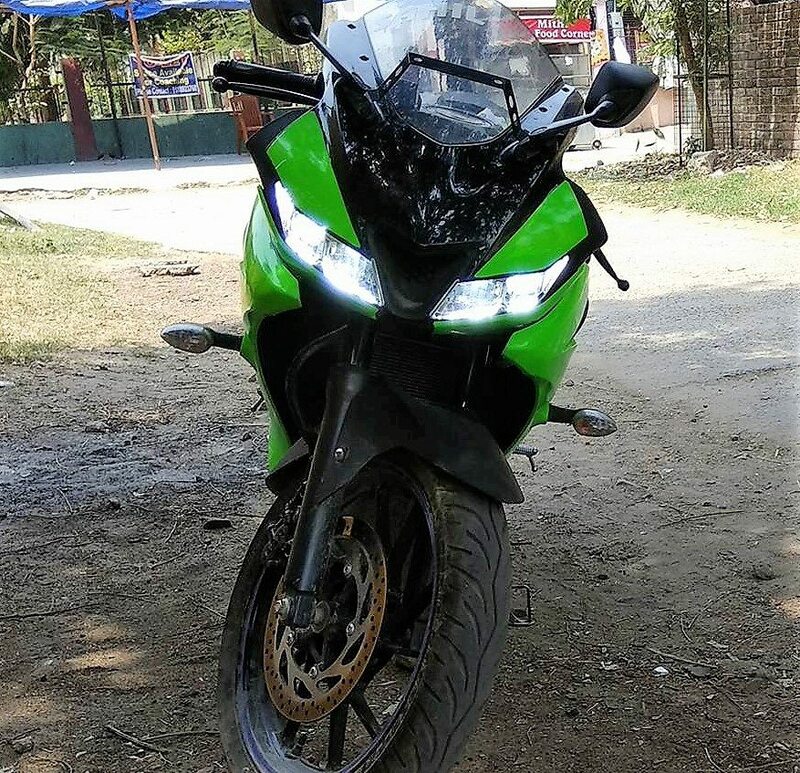 Green can be seen on side fairing, rear wing like panels and front panels above and under the headlight. 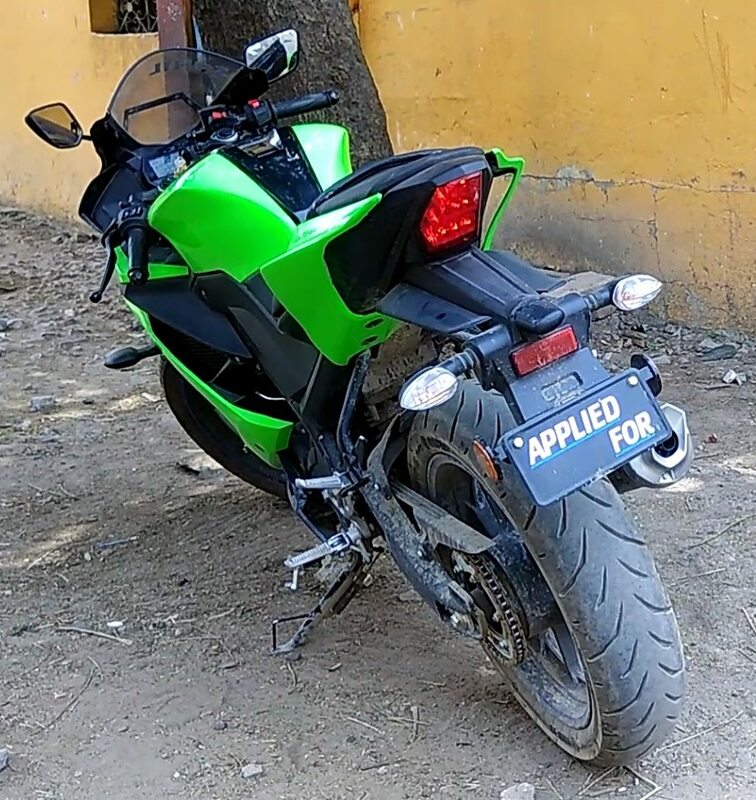 The bike looks new as it comes without number plate. 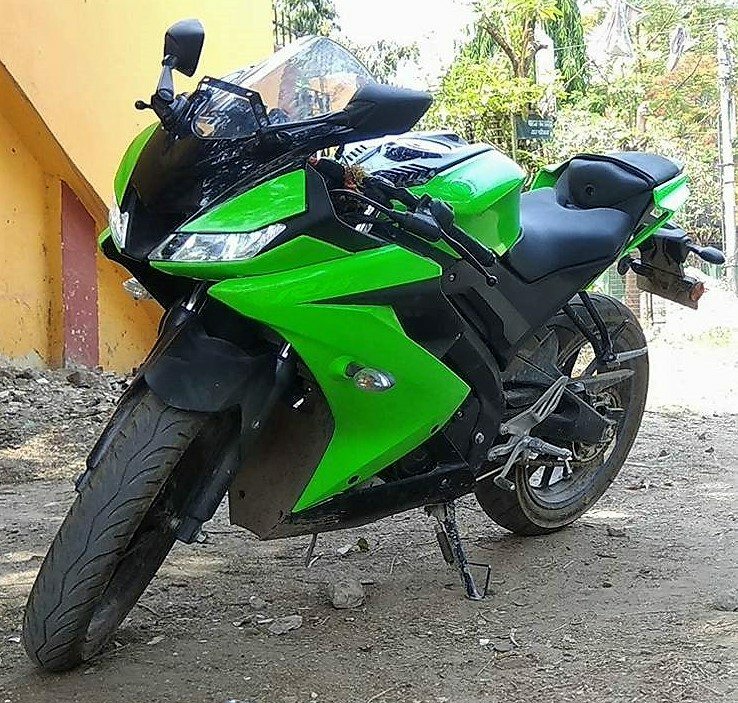 Yamaha R15 V3 is the best possible option that one could buy in India under INR 1.50 lakh (on-road). The only fact that makes it less appealing to majority buyers is track specific riding position. But actually, Yamaha has smartly placed FZ25 for buyers who prefer comfort more than styling. 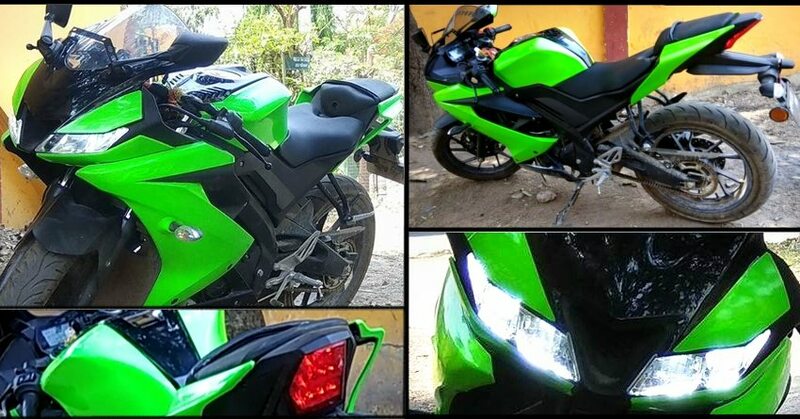 It comes with a powerful 249cc engine and sprints 2 second faster to 100 kmph due to more power and torque. Yamaha R15 V3 is powered by a 155.1cc, single cylinder engine producing 19.03 BHP and 15 Nm of torque. The engine comes mated to a 6-speed gearbox and claims impressive 136 kmph top speed.